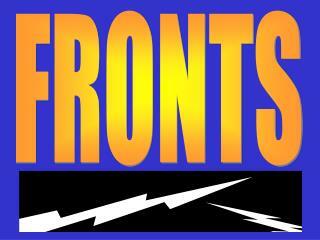 Fronts. Weather Systems. 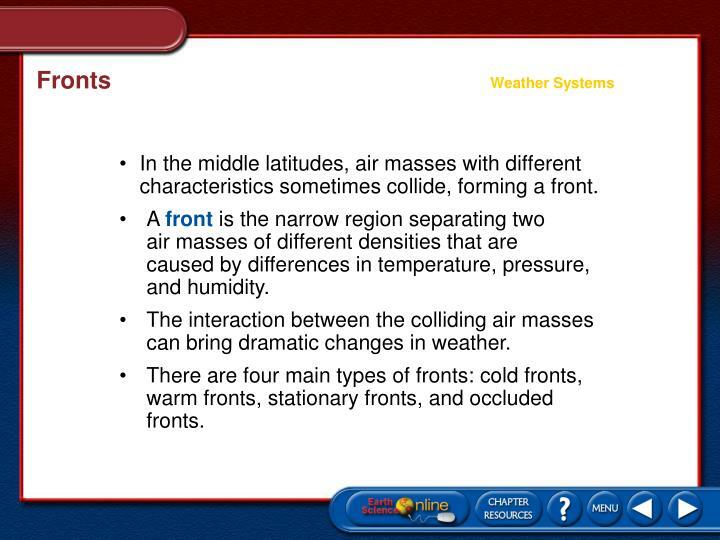 In the middle latitudes, air masses with different characteristics sometimes collide, forming a front. 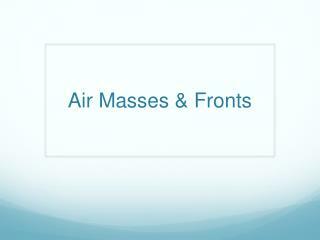 A front is the narrow region separating two air masses of different densities that are caused by differences in temperature, pressure, and humidity. 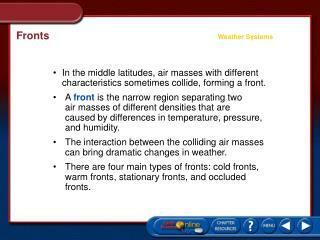 In the middle latitudes, air masses with different characteristics sometimes collide, forming a front. 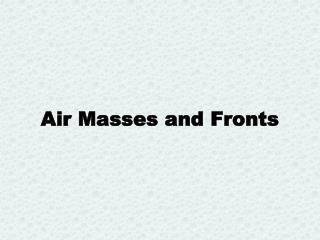 A front is the narrow region separating two air masses of different densities that are caused by differences in temperature, pressure, and humidity. 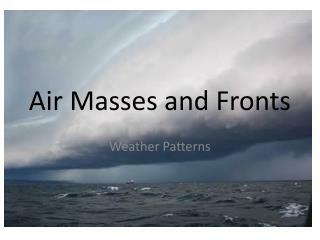 The interaction between the colliding air masses can bring dramatic changes in weather. 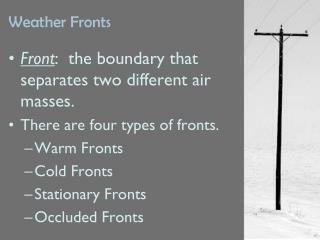 There are four main types of fronts: cold fronts, warm fronts, stationary fronts, and occluded fronts. 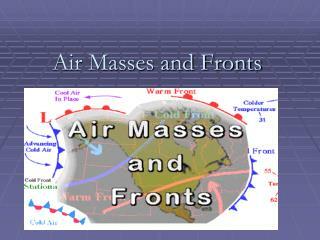 In a cold front, cold, dense air displaces warm air and forces the warm air up along a steep front. 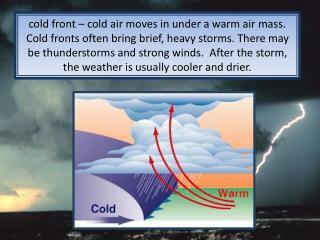 Clouds, showers, and sometimes thunderstorms are associated with cold fronts. A cold front is represented on a weather map as a solid blue line with blue triangles that point in the direction of the front’s motion. 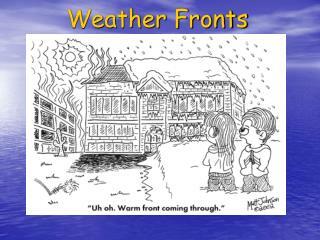 In a warm front, advancing warm air displaces cold air. The warm air develops a gradual frontal slope rather than a steep boundary. 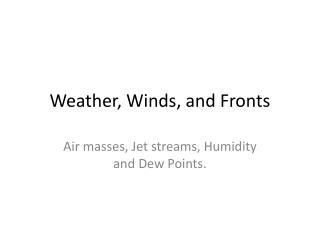 A warm front is characterized by extensive cloudiness and precipitation. On a weather chart, a warm front appears as a solid red line with regularly spaced, solid red semicircles pointing in the direction of the front’s motion. A stationary front is the result of two air masses meeting and neither advancing into the other’s territory, stalling the boundary between them. 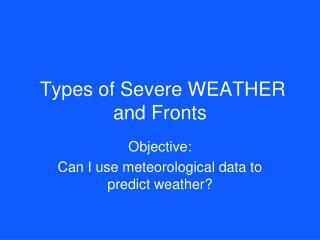 Stationary fronts seldom have extensive cloud and heavy precipitation patterns. A stationary front is represented on a weather map by a combination of short segments of cold- and warm-front symbols. 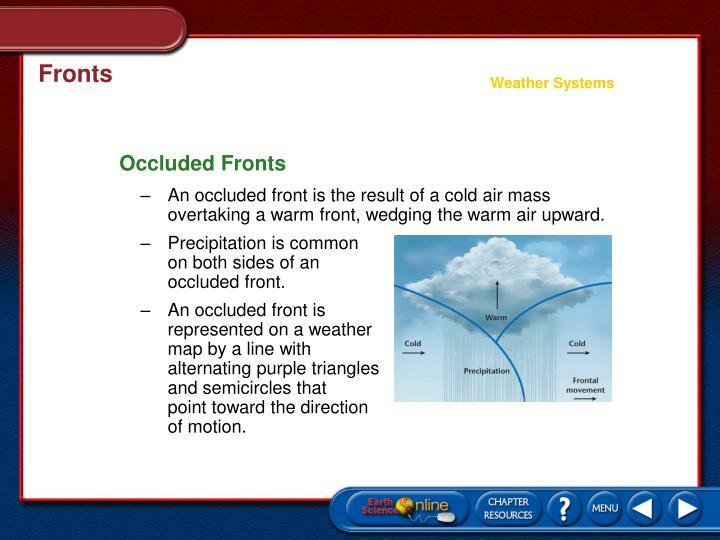 An occluded front is the result of a cold air mass overtaking a warm front, wedging the warm air upward. Precipitation is common on both sides of an occluded front. An occluded front is represented on a weather map by a line with alternating purple triangles and semicircles that point toward the direction of motion. 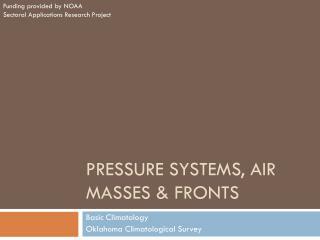 At Earth’s surface, rising air is associated with low pressure and sinking air is associated with high pressure. 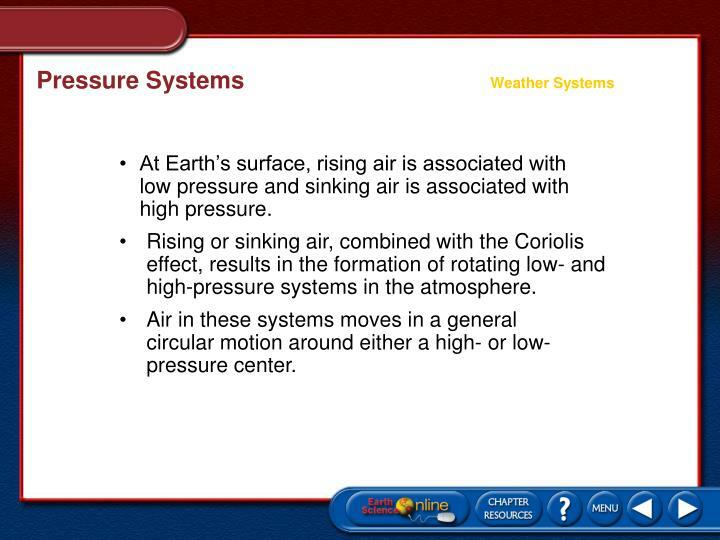 Rising or sinking air, combined with the Coriolis effect, results in the formation of rotating low- and high-pressure systems in the atmosphere. 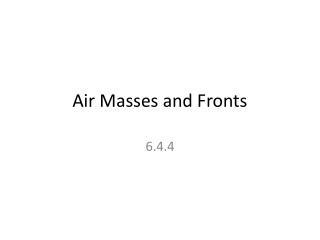 Air in these systems moves in a general circular motion around either a high- or low-pressure center. 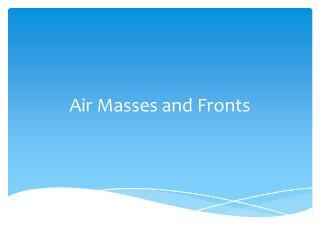 In a high-pressure system, air sinks, so that when it reaches Earth’s surface it spreads away from the center. The Coriolis effect causes the overall circulation around a high-pressure center to move in a clockwise direction in the northern hemisphere. 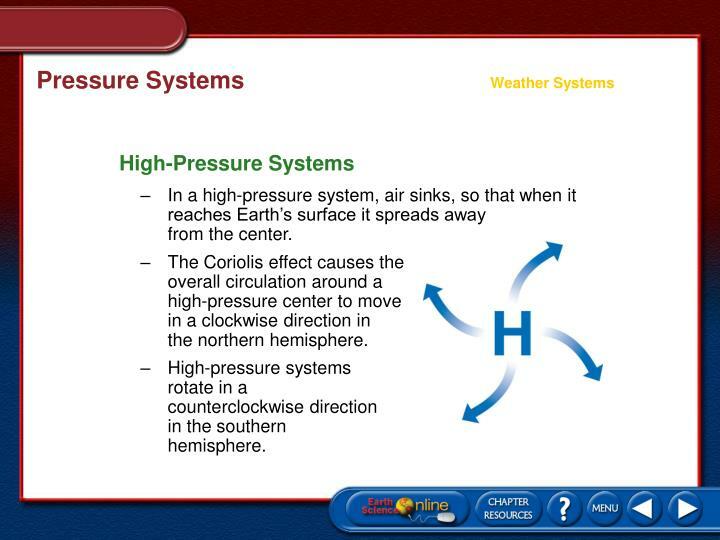 High-pressure systems rotate in a counterclockwise direction in the southern hemisphere. 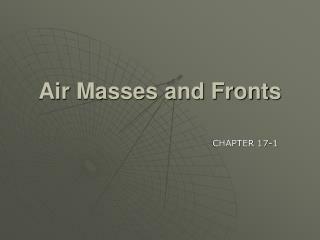 In a low-pressure systems, air rises, causing an inward net flow toward the center and then upward. 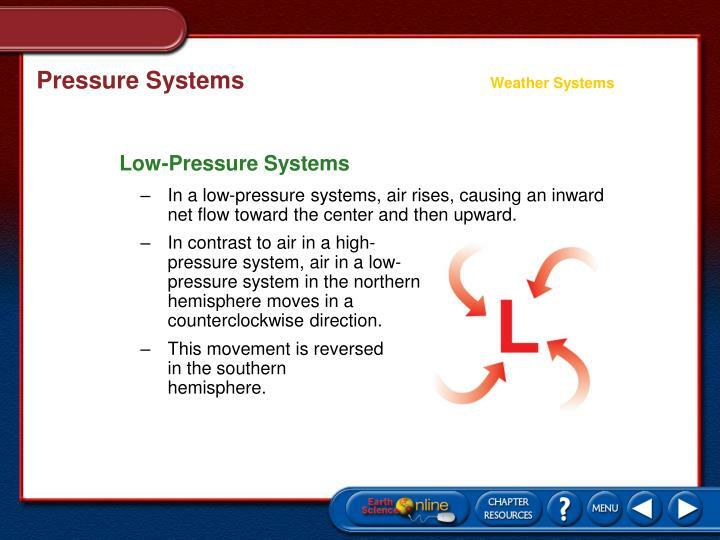 In contrast to air in a high-pressure system, air in a low-pressure system in the northern hemisphere moves in a counterclockwise direction. This movement is reversed in the southern hemisphere. 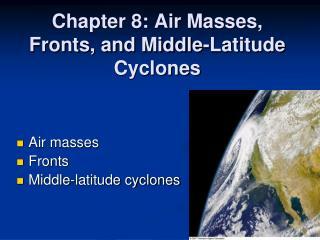 A wave cyclone, one of the main producers of inclement weather in the middle latitudes, usually begins along a stationary front. 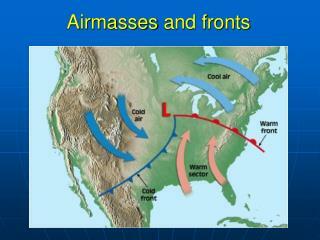 Part of the front moves south as a cold front and another part of the front moves north as a warm front. 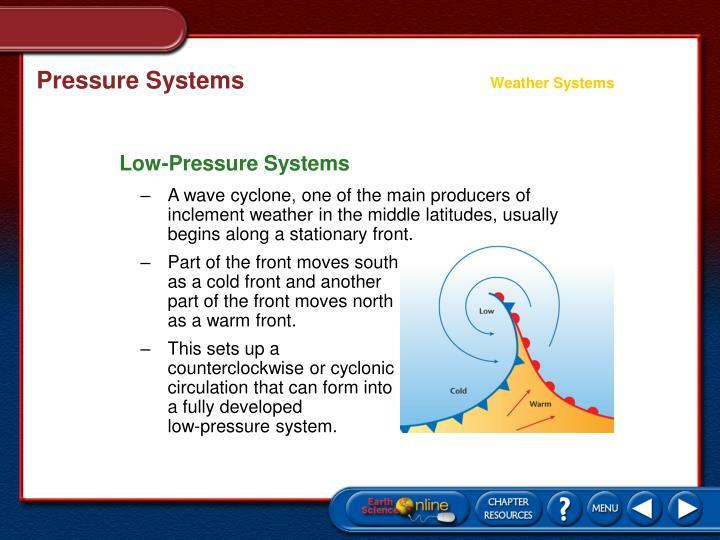 This sets up a counterclockwise or cyclonic circulation that can form into a fully developed low-pressure system. 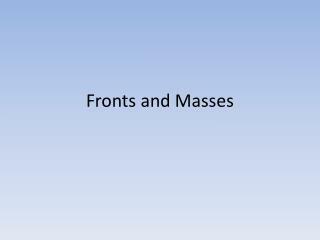 Weather Fronts -. 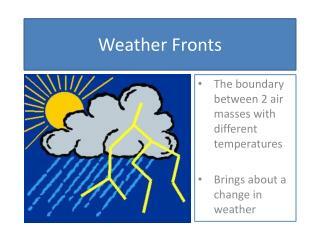 the boundary between 2 air masses with different temperatures brings about a change in weather. 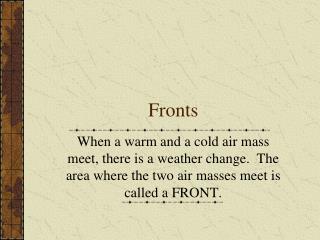 warm front. passes slowly through an area. cold front. passes quickly through an area…sometimes as fast as 100 km/ hr. 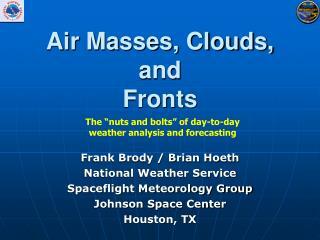 Air Masses and Fronts -. 6.4.4. essential question. why does the earth experience weather? 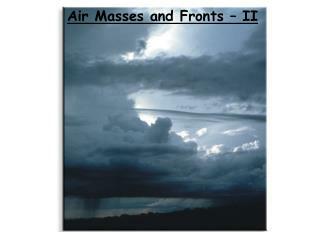 there are 2 reasons: the movement of air masses; the movement of fronts. 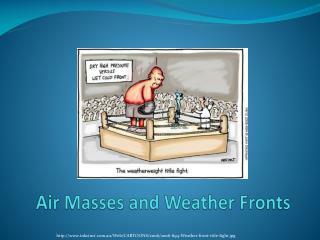 air masses.